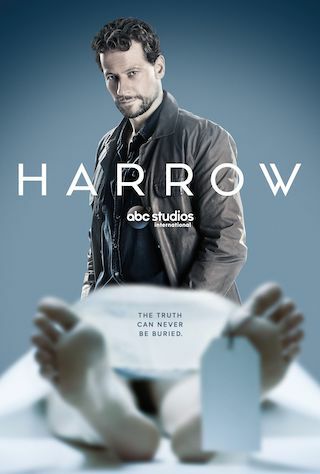 Harrow is an Australian 60 minute scripted medical television series, which kicked off on March 9, 2018, on ABC and is broadcast every Friday at 20:30. The show is currently in its 1st season. ABC has officially confirmed the renewal of Harrow for Season 2. The exact release date is yet to be announced so far. Sign up to track it down. Harrow tells the story of Dr. Daniel Harrow, who is no ordinary forensic pathologist. Brilliant. Unorthodox. And a murderer? Harrow's total disregard for authority and his unfailing empathy for the dead help him solve even the most bizarre of cases. He is driven to give victims a voice and will bend every rule to get to the truth of what happened to them. But when a terrible secret from his past threatens his family, his career and himself, Harrow needs all his wit, wile and forensic genius not to solve a crime but to keep it buried.